Willamette: The Pinot Noir Auction would not be possible without the generous contributions of our 2019 sponsors. We have been the foremost wine storage facility in the Pacific Northwest since 1994, providing a secure, licensed and bonded, temperature-controlled facility offering storage, comprehensive DTC fulfillment, labeling and repack services. We have the Northwest’s most extensive consolidation program utilizing our own fleet of refrigerated trailers and network of partner carriers. Founded in 1888, Young’s Market Company is the premier distributor of wines, spirits and select beverages in the western United States. Young’s employs more than 3,000 people and operates in 10 states. Young’s is committed to representing client partners with professionalism, adding value to customers, creating a culture of respect among employees, and having a positive impact on people’s lives in the communities where Young’s operates. DIAM, partnered with G3, offers consistent cork closures with unbeatable mechanical performance and sensory neutrality. Available in different choices ranging from Diam 2, 3, 5, 10, and 30, Origine by Diam® 10 and 30 for still wines to Mytik Diam for sparkling wines. Founded by Bob Liner and Matt Elsen over 20 years ago, Galaxy Wine Company has grown to become recognized as one of the Northwest’s most influential importers and distributors of wine. We proudly represent a catalog filled with exceptional wines and distinguished producers from around the globe including an unparalleled selection of the Willamette Valley’s finest estates. The Mitchell Wine Group was founded in 2004 with one mission: to be the best independent wholesaler of fine wine in the state of Oregon. Our chief endeavor is to provide superior customer service to our growing list of clients. Though we pride ourselves on our comprehensive portfolio of wines at all price points, our greatest asset is our employees. The Mitchell team is highly experienced and can guarantee you the best service in Oregon. Oregon Wine Services is the premier DTC fulfillment, wine storage, and wine transportation company in the Pacific NW offering service to the majority of wineries in the state. With our new customized Microsoft Enterprise software system, wineries can view and transfer inventory and place their own fulfillment, wholesale and will call orders right in their account. We have three strategically located warehouses in McMinnville, Tualatin (Portland) and Medford. Saverglass is the leading global player in the market for Premium and Super Premium bottles. Its production tools and expertise are used to manage significant volumes of orders while meeting the specific needs of its customers for special and short runs. This technological expertise, the quality of its services and its capacity for creation place Saverglass in a unique position on the market. Saalfeld Griggs is a respected business law firm with clients in Oregon, the Pacific Northwest, and beyond. Founded in Salem in 1932, the firm is large enough to handle complex litigation and business transactions, yet small enough to develop close working relationships with its clients. The 29 lawyers at Saalfeld Griggs are organized into specialized practice area teams. Our team of wine, beer, and cider attorneys helps clients navigate the legal landscape from start up through a sale or generational transfer. The team lives and works in the Mid-Willamette Valley, home to prime vineyard land, skilled winemakers, and numerous award-winning breweries and cideries. CADUS is now one of France's leading cooperages. Although an ardent defender of French cooperage, its traditions, methods and style, the company also produces innovative, modern solutions to meet new client requirements. CADUS employs more than 30 professional coopers and has a support team managing purchases, wood stock and client relationships. Moving ever forward, the Ponzi Sisters continue a half-century legacy of winemaking excellence, innovation and community. A benchmark for American wines for nearly 50 years, Ponzi Vineyards continues to produce some of the Willamette Valley's most celebrated vintages, including Pinot noir, Chardonnay, Pinot gris, Pinot blanc and a few new surprises. Established in 1994, in rural Carlton, Oregon, Ken Wright Cellars is devoted to showcasing the inherent quality of selected vineyard sites. With a clarity and breadth that is unequaled by other varieties, we believe Pinot noir best expresses the character of these sites. Rather than stamping wine with a varietal trademark, Pinot noir is the ultimate vehicle for conveying the aroma, flavor and texture of the location in which it is grown. Davison Winery Supplies is family owned business that has been serving the Yamhill County area and beyond for nearly 100 years, providing the Pacific Northwest with top quality products and industry leading supplies for winemaking needs. Since 1996, Davison has grown into an 11,000sqft warehouse supplying everything from stainless steel fittings to yeasts, wine barrels to bottling line equipment and custom consultation. 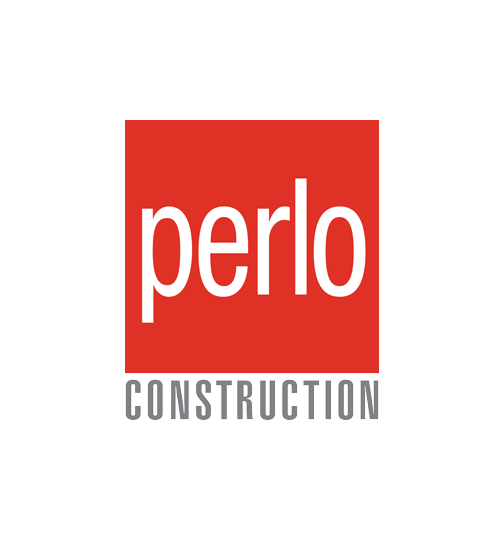 From the company’s inception in the 1950s, Perlo Construction has been built on the hard work and integrity of a premier group of construction professionals who are known for their efficient and fair business practices. Our longstanding prominence as a local commercial general contractor has helped us develop a strong network of relationships, resulting in substantial repeat business and success in a very competitive industry. Erath wines are an expression of the land that the winery has cultivated for more than 40 years, longer than any other winery in the Dundee Hills of Oregon. The red, iron-rich Jory soils, combined with gentle breezes and warming sunshine of a marine climate, have bestowed upon Dundee a terroir of note. It has given rise to the handcrafting phenomenon and the art of Pinot. Established in 1982, Montinore Estate is the largest producer of certified estate wines made from Biodynamic® grapes in the country. With our 200-acre Demeter Certified Biodynamic® and CCOF Certified Organic vineyard located in north Willamette Valley in Oregon, we focus on producing superior Pinot Noirs, cool climate whites, and fascinating Italian varietals. Whether we are consulting on insurance options, assisting with a claim, or helping our clients navigate the complex tapestry of insurance carriers, we approach every situation with the question, “How can we best help our clients?” We listen closely, interpret carefully and deliver our recommendations with the broad perspective our clients need to make an informed decision. The result? Our customers come away feeling confident and empowered, with the peace of mind that they made the right choice. Irvine & Company, LLC has been specializing in the wine industry for over three decades. With more than 200 winery and vineyard clients located throughout the western states, our dedicated team of over 25 professionals is well-versed in all aspects of the wine industry. If you are interested in learning more about how we can successfully partner together, please visit us at www.irvinecpas.com. Northwest Farm Credit Services is a 100-year-old financial cooperative providing loans, crop insurance and related services to farmers, ranchers, agribusinesses, commercial fishermen, timber producers and rural homeowners throughout the Pacific Northwest. Northwest FCS is a member of the $320 Billion Farm Credit System, the leading provider of credit and related services to U.S. agriculture and rural communities. Mahonia Nursery has been specializing in growing native plants of the Pacific Northwest and selected ornamentals for over 25 years. We are a family-owned wholesale nursery offering quality plants, grown in a sustainable manner, at a competitive price. We also offer plant brokering services to help customers organize, locate, purchase and deliver the plant material.